GB Boxing secured three gold medals, two silvers and a bronze at the annual international Bocskai Tournament in Debrecen, Hungary, this weekend. Galal Yafai defeated a string of strong opponents to take gold at 49kg. The Birmingham-based boxer enjoyed unanimous points wins over Rufat Husseynov (Azerbaijan) in the quarters and Imad Ahayoun (Morocco) in the semi-finals to set up a tough final against Azerinaijan’s Salkar Aikhynbai, where the British boxer edged a split decision. Joshua Buatsi beat Luka Plantic (Croatia), Arsen Rizun (Ukraine) and highly experienced London 2012 bronze medallist Teymur Mammadov (Azerbaijan) to earn a place in the 81kg final, where he finished with a flourish, beating Kazakhstan’s Ali Akhmedov by TKO in the final round. Welshman Joe Cordina beat Sofiane Oumiha of France on a split decision in the 60kg final, having outpointed Sulemani Violant (Kosovo) and Enrico La Cruz (Netherlands) in the quarters and semis. Qais Ashfaq returns with a silver medal following a unanimous points loss against Tayfur Aliyev (Azerbaijan). 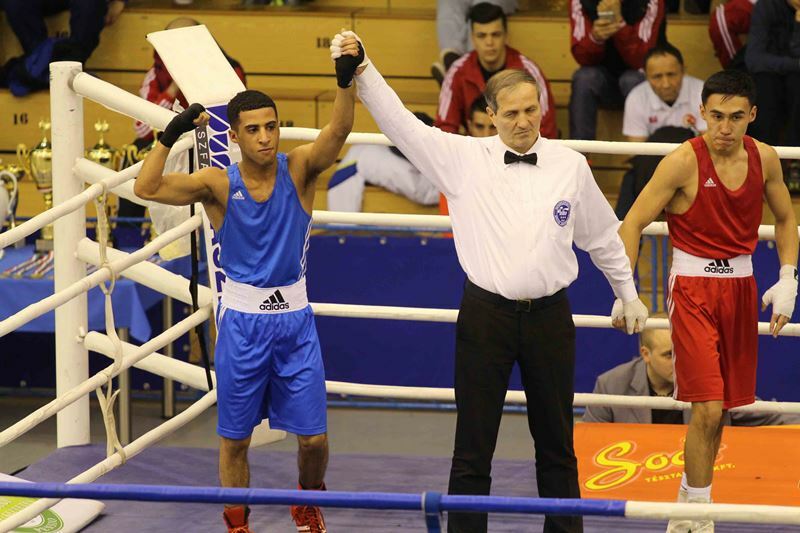 Ashfaq boxed well in the earlier stages, winning a split decision against Chiladze Severiane (Georgia) in the 56kg preliminaries, followed by unanimous wins over Viaceslav Gojan (Moldova) and Norbert Herczeg (Hungary)in the quarters and semis. There was disappointment for Cyrus Pattinson, who was unable to progress past the semi-finals, despite having beaten Frenchman Souleymane Cissokho on points when his 69kg bout was stopped in the second round due to a cut to the back of his head. Pattinson returns home with a well-deserved silver medal. Antony Fowler’s winning run came to a halt when he sustained an cut to the back of the head in the second round of his 75kg semi-final clash against Azerbaijan’s Kamran Shakhsuvar. A disappointed Fowler was forced to settle for bronze.